F65 Sole is a folding type commercial treadmill of Sole fitness. Sole proudly introduces the new F65 treadmill to their family line with a few upgrades from the very popular F63 model. Sole has earned the reputation of building quality treadmills using the best components, the F65 is no exception and is a performance treadmill at a very affordable price.The F65 jumps up to a powerful 2.75 Cont. Duty HP motor which delivers challenging speeds up to 11 mph and inclines up to 15%. The F65 also has a larger deck at 20 X 58 inches in size. The F65 comes standard with a larger 7 inch LCD display which is back lit and you'll find easy to read in any lighting. And as with all Sole treadmills, when not in use the treadmill deck safely locks into place, 100% secured. Run up to six preset programs including cardio training and fat burning specific programs. Other safety features include a large stop switch with tether cord, starting speed of only 0.5 mph, and a low-profile running hood that doesn’t get in the way of your running gait. ToughTrain 4.0 out of 5 Good exercise bike, having above than average features and available in a reasonable price. 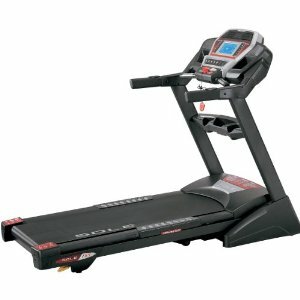 TreadmillReviews.net 4 out of 5 The Sole F65 Treadmill (Folding) is a pretty good value. Its commercial-grade motor and cushioned track can support many years of use. However, this treadmill is designed for people who don’t need advanced workout programs, an iPod hookup, or similar entertainment in order to keep exercising regularly. *Note: Most of the sites, stores or shopping portals listed above sell Sole F65 Treadmill with discounts and other exciting offers. There is a possibility that the some of above websites are not selling Sole F65 Treadmill now. Toughtrain.com is not liable for such cases or instances. Also we do not recommend any seller for Sole F65 Treadmill and a buyer should buy from where he/she gets best deal with quality of products, service and on time delivery (shipment).